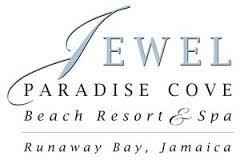 Montego Bay Airport to Jewel Paradise Cove Resort and jewel Runaway Bay Jamaica. One Way (Private Transfer) US$70.00 for 1 to 3 Persons traveling together Total... Each extra persons US$10.00 Each. Round Trip (Private Transfer) for 1 to 3 persons traveling together US$140.00 Total... Each extra persons US$20.00 Each.